X-Men Apocalypse released in May 2016 and got great business among the globe. All the character perform great in all aspect. 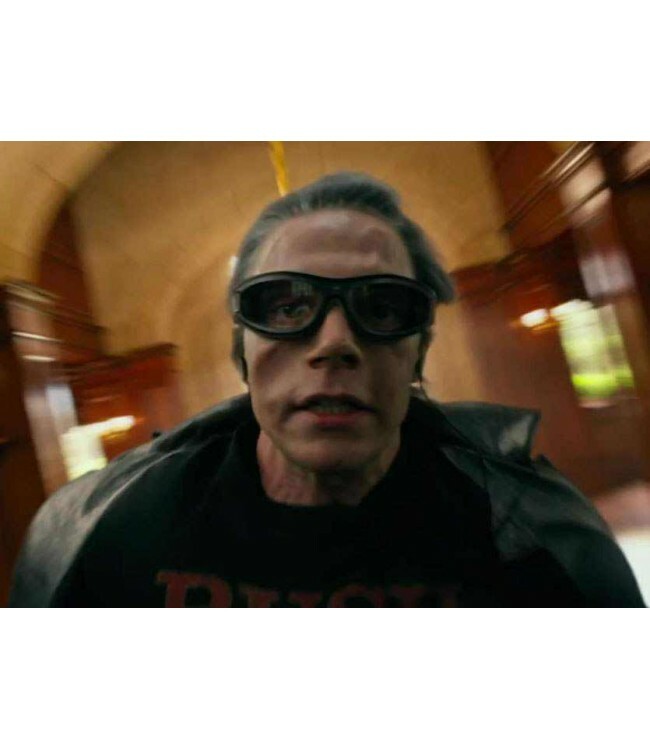 In the previous part, Even Peters introduced as Peter Maximoff / Quicksilver speed runner boy who helps Charles. In this part, one more secret reveals that Peter Maximoff is the son of Magneto. In this movie Even Peters wear a black leather jacket that is very popular among the youngster due to its elegant looks. 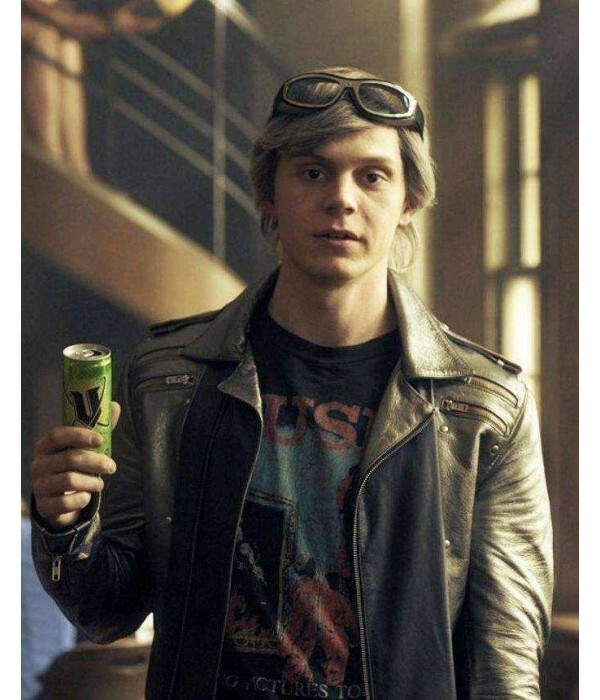 We celebrities outfits now providing you this leather outfit just for the fans & followers of X-Men Apocalypse and Quicksilver. The jacket made of high-quality real leather material and stitched by our experienced craftsman. This Quicksilver jacket has shirt style collar along with YKK front zipper for also closing zipper on sleeves for tightening it. You can get it real leather and faux both.